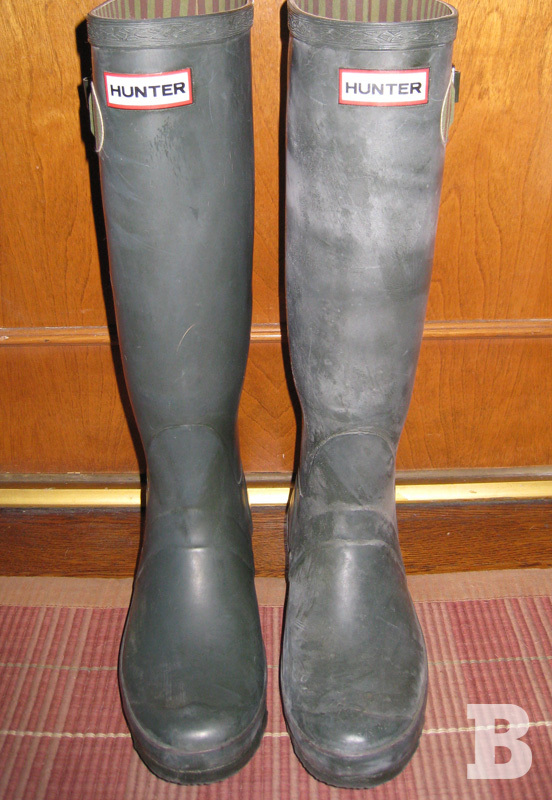 I hadn’t had my Hunter boots for very long when I noticed a white, powder-looking coating. A quick Google search told me this phenomenon is called “blooming” and caused by the natural wax in the boot coming to the surface. Seems the two most popular methods to get rid of the bloom are olive oil and Armor All. I used olive oil and it worked! But, it took a lot of oil and a lot of rubbing! So, I’ve got the Armor All on standby for next time as the bloom regularly reoccurs. (Note: The Hunter website recommends UV Tech) Stay tuned.